Canada’s ambassador to China John McCallum says he regrets the comments he made regarding Huawei’s global chief financial officer Meng Wanzhou’s case. “I regret that my comments with respect to the legal proceedings of Ms. Meng have created confusion. I misspoke. These comments do not accurately represent my position on this issue,” McCallum said in a statement to the CBC on January 24, 2019. On January 22nd, the former Liberal cabinet minister said that Meng had “quite good arguments on her side” to fight her case against the U.S.
“One, political involvement by comments from Donald Trump in her case. Two, there’s an extraterritorial aspect to her case, and three, there’s the issue of Iran sanctions which are involved in her case, and Canada does not sign on to these Iran sanctions. So I think she has some strong arguments that she can make before a judge,” he said. 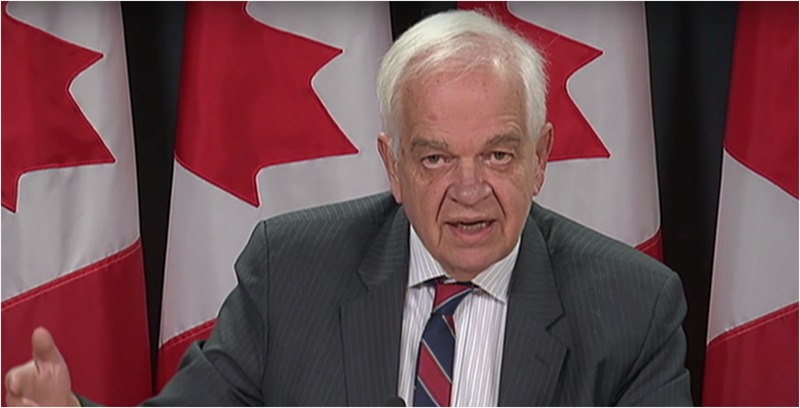 Prime Minister Justin Trudeau said he wouldn’t be dismissing McCallum from his role because of the comments and wanted to focus on bringing Canadians back to the country that are believed to be detained as a result of Meng’s arrest.